Today is the official first day of Lunar New Year and this year is the year of the Pig. So what exactly IS Lunar New Year and why is it symbolized by animals? Most importantly, why isn’t there a cat in the Lunar New Year cycle? Well, pour yourself a cup of Dead Sled Coffee and we’ll fill you in. A lot of people don’t actually know the reason why Chinese years are named after animals. It starts with the legend of the ‘Great Race’, very briefly, the Jade Emperor (one of the most important gods of the Chinese Taoist pantheons) decided there should be a way of measuring time, so he told the animals that they would have a swimming race and the first 12 to cross the line will have a year of the zodiac named after them. The rat won by riding on the ox’s back, so it had the first year named after them, the second after the ox, then the tiger and so on… 2017 was the year of the rooster, who came in twelfth. So..where was the cat? Take a guess…sleeping! The cat, being the most handsome of all animals, asked his friend the Rat to wake him on the day they were to go to Heaven and meet with the Jade Emperor, so he wouldn’t oversleep. The Rat, however, was worried that he would seem ugly compared to the cat, so he didn’t wake the cat. Consequently, the cat missed the meeting with the Jade Emperor and was replaced by the Pig. When the cat learned of what had happened, he was furious with the Rat and that, according to the story, is why cats and Rats are enemies to this day. And that is why there is no Cat in the Lunar Zodiac. 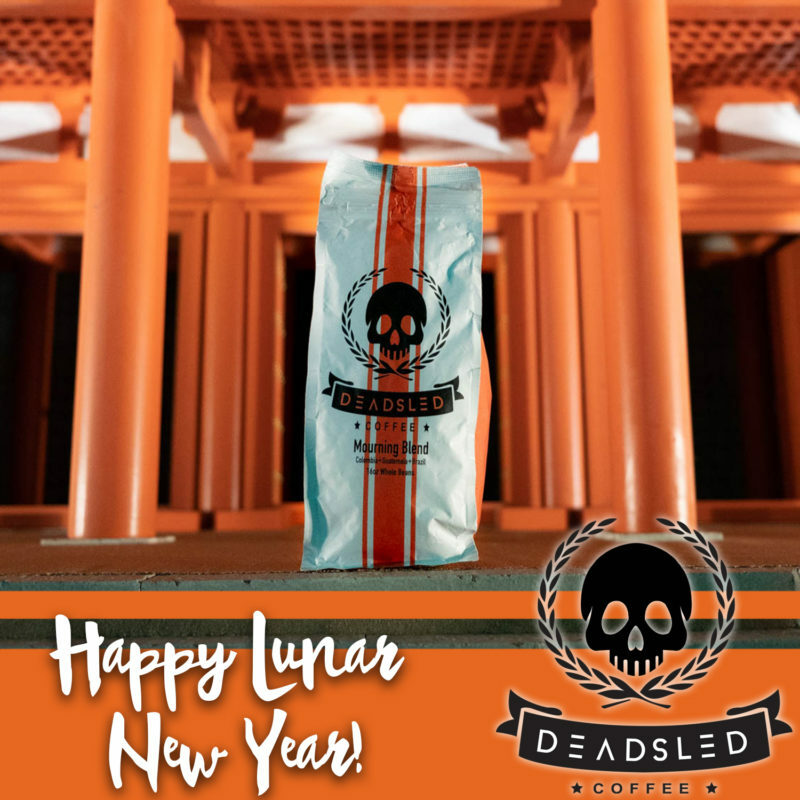 This entry was posted in Dead Sled Coffee Blog and tagged Lunar New Year.